Broccoli Mushroom Tetrazzini is ready in 40 minutes. Vegan, gf,df.. 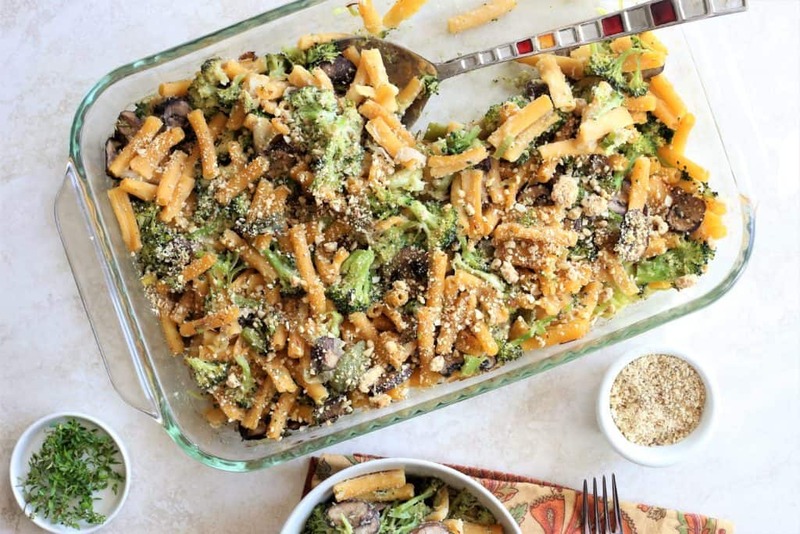 Broccoli Mushroom Tetrazzini. Fall is coming, and we need quick and easy dinners that are also healthy and delicious. 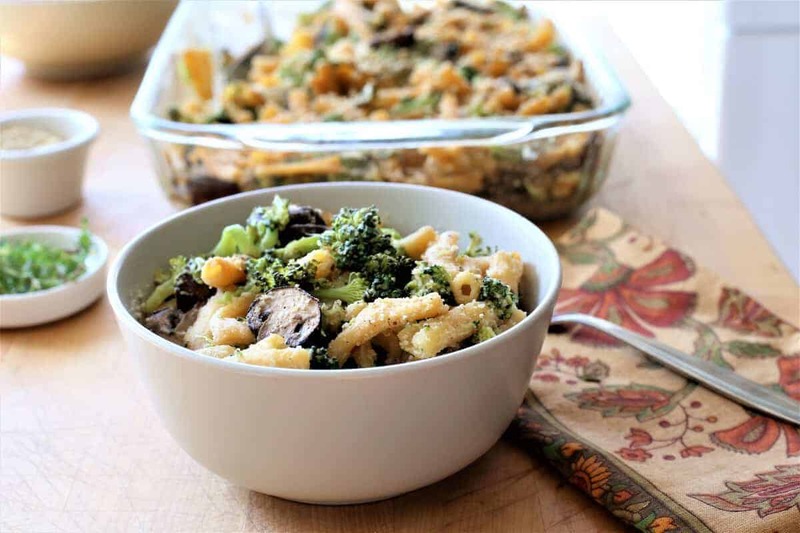 Broccoli Mushroom Tetrazzini is that, ready in 40 minutes, delightfully satisfying, tasty and healthy. For the pasta, I used Trader Joe’s Red Organic Lentil Sedanini (not sponsored), although you can use any gluten free pasta that you have on hand. The lentil pasta is a refreshing change from the standard flour pastas that I typically use– it actually tasted like lentils, had more protein and fiber than traditional pasta, and was yummy. This dish is vegan, gluten free and dairy free, of course. 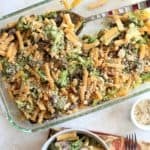 Broccoli Mushroom Tetrazzini is creamy and delicious. Vegan, gluten free and dairy free. *There are many recipes for Vegan Parmesan on the internet. I don't claim that this is an original creation--these are just the ingredients that I use to get the taste that I want in the Vegan Parmesan Cheese. Remove mushrooms and leeks from pan. Add almond milk, salt, pepper, granulated garlic and tarragon to pan. Mix almond flour into cup of milk and stir until lumps are gone. Return flour mixture to remaining milk in pan. Cook on medium for a few minutes until it thickens, stirring constantly. Top with vegan parmesan cheese for serving. This looks delicious! Do you use fresh Tarragon or granulated?